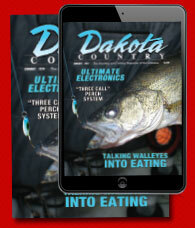 The late North Dakota fisheries chief and Game and Fish Director, Dale Henegar, left nothing to chance. He was a visionary, always investigating new ideas, new prospects to improve the fishery of the Dakotas. Such was the case when he introduced Chinook salmon into Lake Sakakawea in the early 1970s. The program has gained a lot of fans. Not as many fans as walleyes have, but still, a lot. These fish, after all, get big, and once hooked they fight like wildcats. Catch a couple and you’re hooked more than the salmon. But they’re short-lived, maybe four years, mostly three. At the end of their life cycle they enter bays where they were stocked, and for a brief period are vulnerable to hook and line in shallow water. Like many, I’ve spent immeasurable hours downrigging for these often elusive creatures, more hours casting to them in shallow water in late September and early October. My catch rate isn’t good. Most of them, well over 90 percent I’d guess, will die of “old age”. 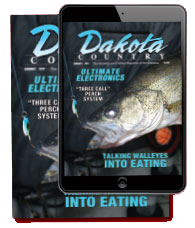 Once again this fall, Jon and I had heard reports of anglers yanking relatively easy limits, casting spoons and crankbaits from boats and shore in the shallow bays, namely Government Bay, Pochant and Deadman’s Bay on the east side of the dam of Lake Sakakawea. It does get you pumped. We arrived early morning on Sept. 27. A handful of boats and a half dozen fishermen were working the shoreline of Government Bay. A few fish dimpled the calm surface. We first ran out to the lake, dropped downriggers into relatively shallow water, ran the face of the dam, Spillway Bay, the edge of Government Bay. Nothing. By late morning, we slid back into Government Bay and noticed multiple salmon working the surface. Fish appeared to be chasing minnows along shorelines, rolling in frolic, often boiling energetically as if trying to catch something. They were plentiful. We cast hard, trying a variety of baits. Nothing. Fish often boiled next to the boat, all around us. Nothing. We talked with other anglers on shore and in boats. Nothing. Knowing that even when things go wrong, if you at least know WHY they go wrong, it’s some consolation, I asked fisheries biologist Dave Fryda if he could explain what happened.